Evensong at Wells Cathedral today marked World Peace Day and involved massed choirs gathered from across the diocese as part of the One Day One Choir project. 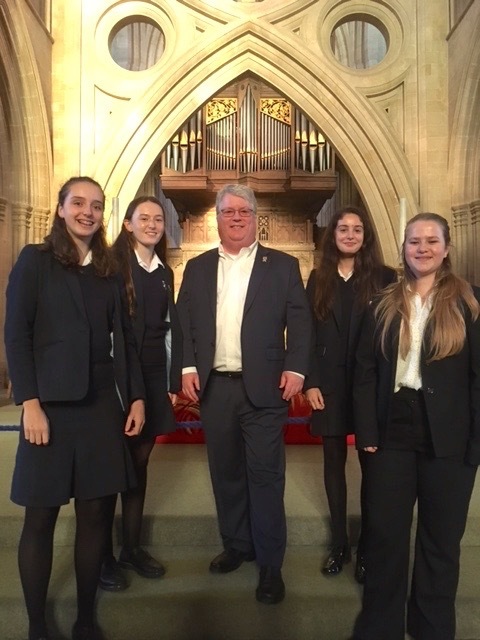 The choirs joined the Cathedral Choir in the world premiere of the specially-commissioned anthem Blessing of Peace by US composer Gary Davison. It was a wonderful work and fitted the occasion perfectly with its apposite texts. The Choir have recorded two discs of Davison's work and were especially delighted to welcome him back to Wells for the premiere. The choir also sang the canticles from the Gloucester Service by Herbert Howells. Written in the aftermath of the Second World War, the music of these canticles radiated a sense of hope. Amongst the massed choirs were our very own Song Squad - Wells Cathedral Junior Choir - who sang with real gusto! 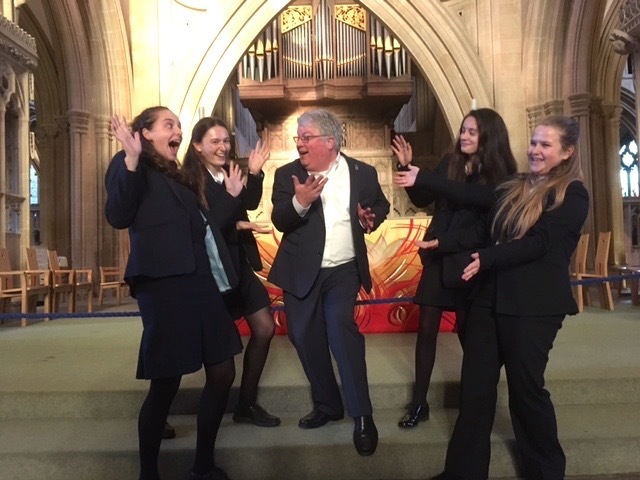 And some of our former choristers came to sing as part of Wells Cathedral School Chapel Choir and were delighted to be reunited with Gary, whose music they recorded during the chorister careers. It was a very special occasion!